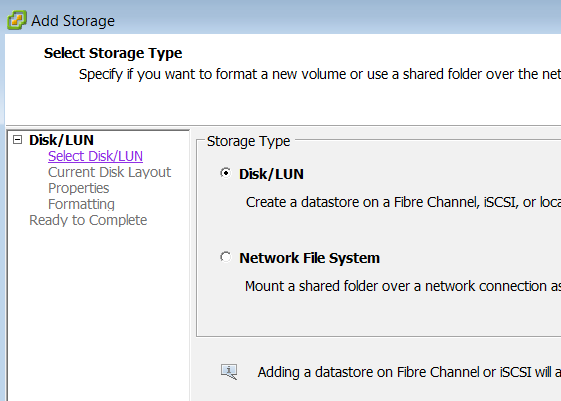 Launch vSphere Client -> Click on the top node in the left tree -> Configuration tab -> Click on the storage menu item under “Hardware” section, as shown below. 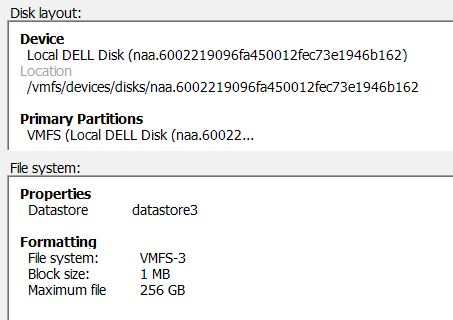 This storage section, will display all available VMware datastores as shown below. 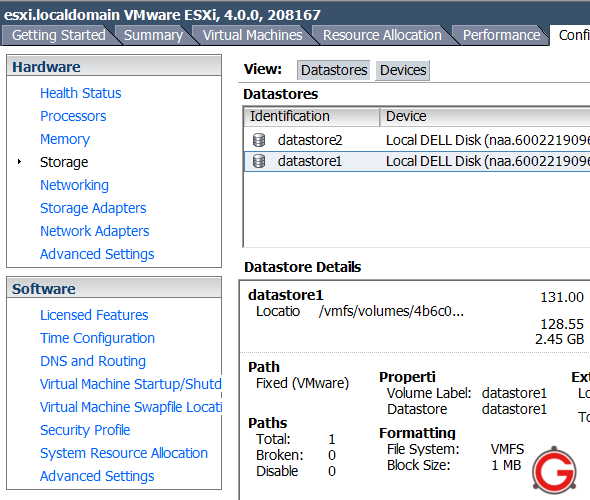 For example, the current VMware datastore1 on this ESXi server has following information. 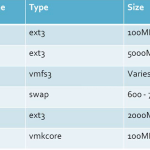 Please note that the VMS file system can be created across multiple partitions to form one logical VMFS volume. Click on ‘Add Storage..’ link on the top right hand corner, which will display the “Add Storage” wizard. This step will display all the available disk groups on the server. 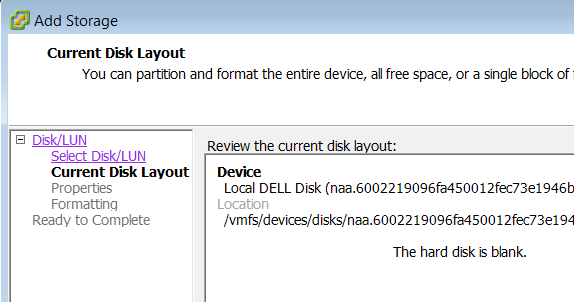 This is a dell poweredge 2950 server, which already has a raid-1 logical disk group created at the hardware raid level. 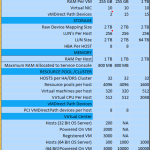 The raid-1 diskgroup that was created at the hardware level is now visible to the ESXi server. If you have more than one diskgroup available to the hardware, they’ll be listed here. 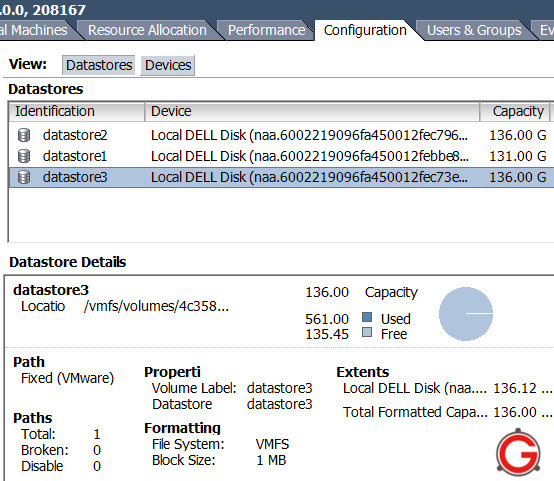 Specify the VMFS datastore name in the properties screen. 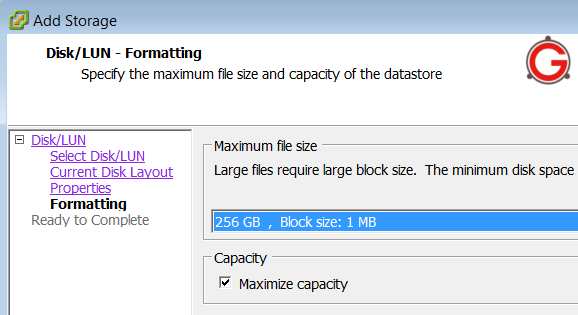 Leave the capacity check-box as maximum capacity. The final confirmation section confirms our selection as shown below. 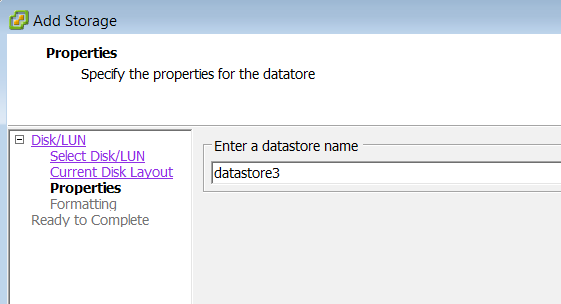 The new datastore3 is created as shown below.